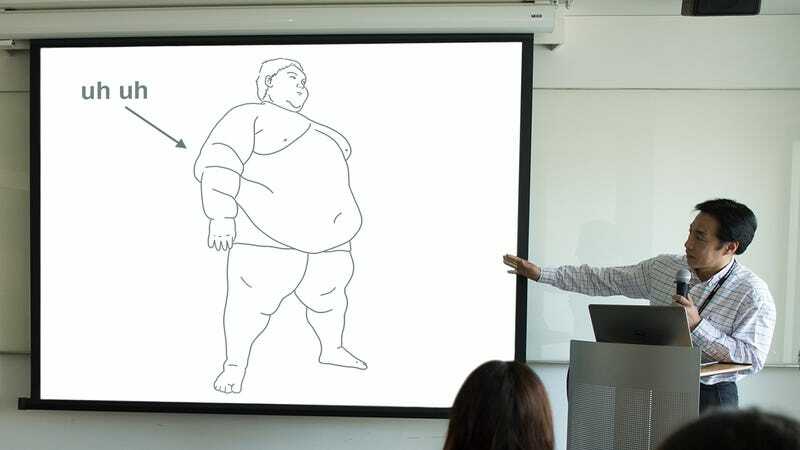 Here’s some major health news that is totally going to change the way we think about the human body: A group of medical researchers just announced that a 400-pound child simply ain’t right. Well, there you have it. It’s good to know that some of the top medical experts in the country are making strides on this important health topic. Though the researchers did not focus their study on the factors that might be leading these children to grow to twice the size of the average adult male, they did speculate that when it comes to 400-pound kids’ health, something’s gotta be goin’ real, real wrong, and their findings open the door for future studies into questions like “What in God’s name they feedin’ these poor SOBs?” As a final note of warning, the researchers added that any parents with a child weighing in at over 375 oughta do something about it, and quick, or the gummint people might be by to have a word. Wow. What a huge revelation for the medical community! Our hats are off to the Johns Hopkins team that worked tirelessly to come to this conclusion—we won’t be surprised if it has implications for 400-pound children for years to come.